First automotive secured loan or credit transaction. Minimum six months on current job or qualified co-buyer. Qualified applicants are eligible for standard rates. Minimum of $1,000 total down payment required (Total down payment may include rebate cash). No adverse credit history. No bankruptcies, foreclosures, repossessions, collection accounts, charge-offs, tax liens, judgments, or any other delinquent credit. Verifiable (paystub, W-2, etc.) monthly income sufficient to cover vehicle payment, ordinary living expenses, and all currently outstanding debt, if any. Payment to applicant?s gross income from primary job cannot exceed 15%. Total monthly debt to monthly income ratio of 50% or less. Total monthly debt includes, if applicable: monthly vehicle payment, monthly rent or mortgage payments, other monthly payment obligations (installment loans, revolving loans, alimony or support payment, etc). Subject to additional KMF credit guidelines. 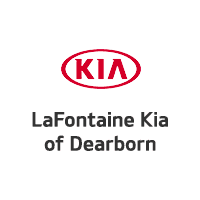 Eligible Vehicles New and untitled 2017 and 2018 Kia Forte, Optima, Rio & Soul vehicles, including demonstrators and Service Loaner vehicles with less than 6,000 miles. *First Time Buyer means applicant has no previous automotive secured loan/credit tradeline on his/her credit report.